Rain chains and rain barrels are smart ways to conserve water and save energy. Learn more about their benefits and installation. Reduced demand for available resources. Reduced risk of pollution, as less rainwater is discharged to drains and sewers, and ultimately, to rivers. 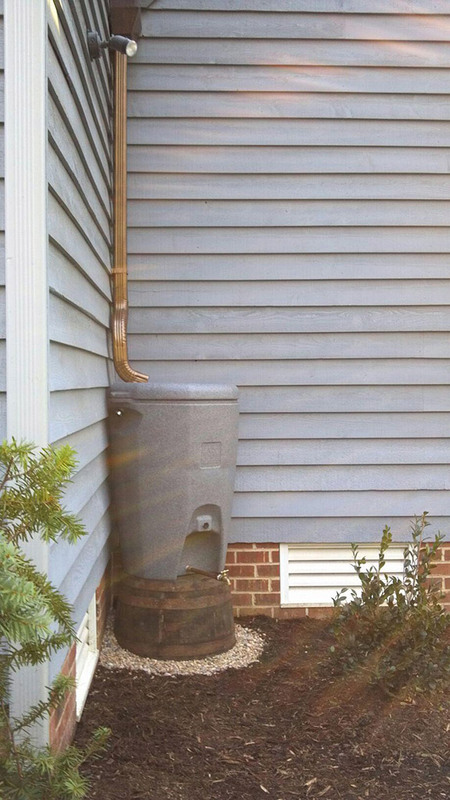 “Environmentally harvesting rainwater significantly contributes to a decrease in pollution of storm water and keeping our waterways clean by slowing down surface runoff,” according to Kim Usry, ARCSA, AP, owner of H2o Collect in Richmond, Virginia. Reduced water bills. Approximately 37% of domestic property owners and nearly all industrial and commercial property owners will experience a notable decrease in water cost. “Irrigation is one of our most costly water expenses. Using harvested water for irrigation alone could save a home a lot of money,” Usry explained. Reduced risk of flooding and damage. Excessive rainwater is often the cause of flooded sewers, leaky basements, and eroded foundations. 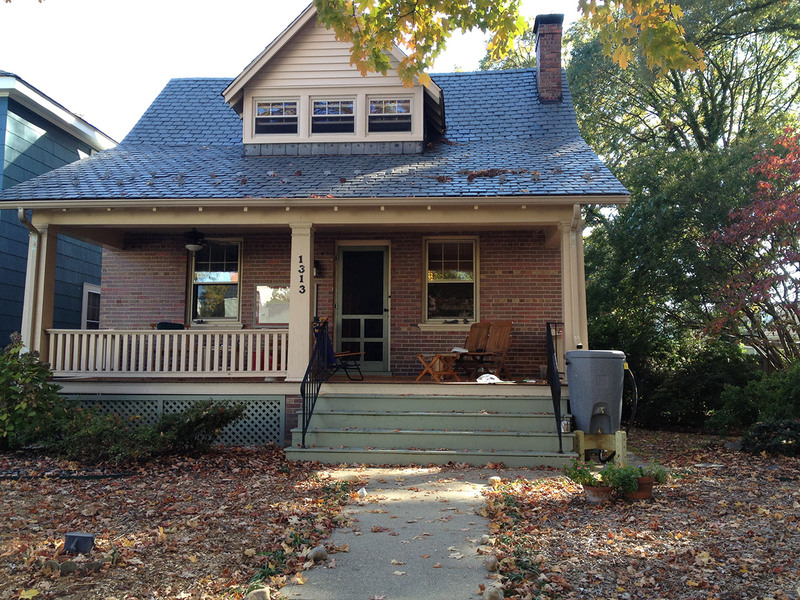 Harvesting rainwater helps safeguard homes and commercial properties from the aforementioned expensive issues. Rainwater does not contain the chemicals that are typically present in municipal water, which makes it ideal for landscaping. Harvesting rainwater also allows property owners to freely use collected water without regulation. “In times of drought and water restriction, harvested water will save your landscape, gardens, ponds, and pools [by] avoiding the more and more common municipal water regulations and fees,” according to Usry. 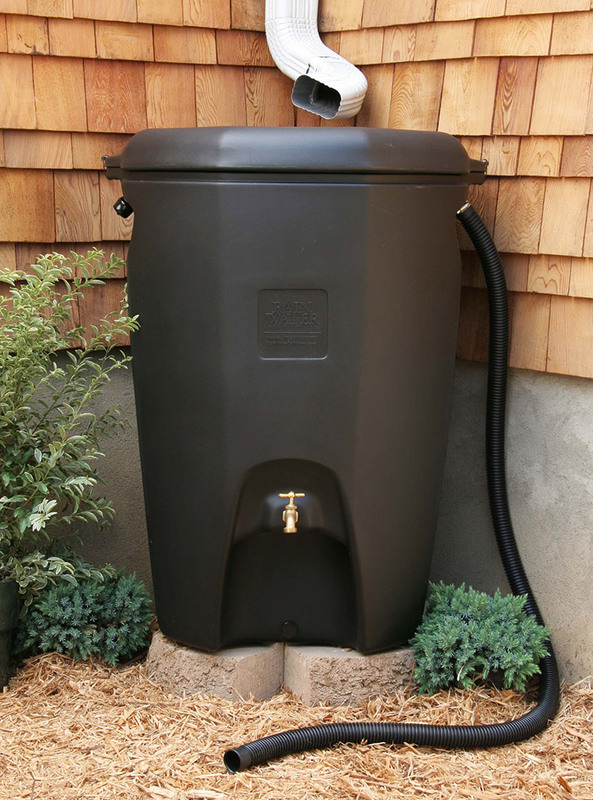 Although rainwater harvesting systems run the gamut from simple to elaborate designs, harvesting rainwater is a fairly simple process. Water harvesting systems can be created when rain chains are used to direct water into a designated location or storage devices. 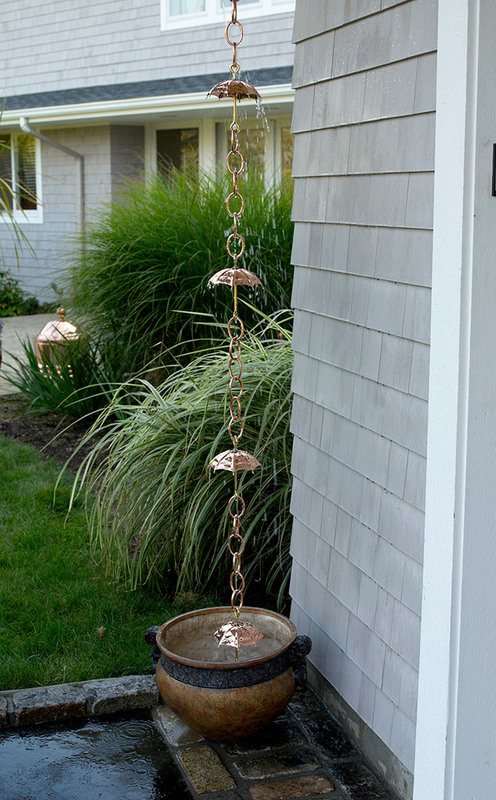 Rain chains are commonly used in conjunction with rain barrels or other water harvesting systems, according to Usry. “Terminating the flow into a large planter, rock garden, or basin is commonly seen,” Usry said. 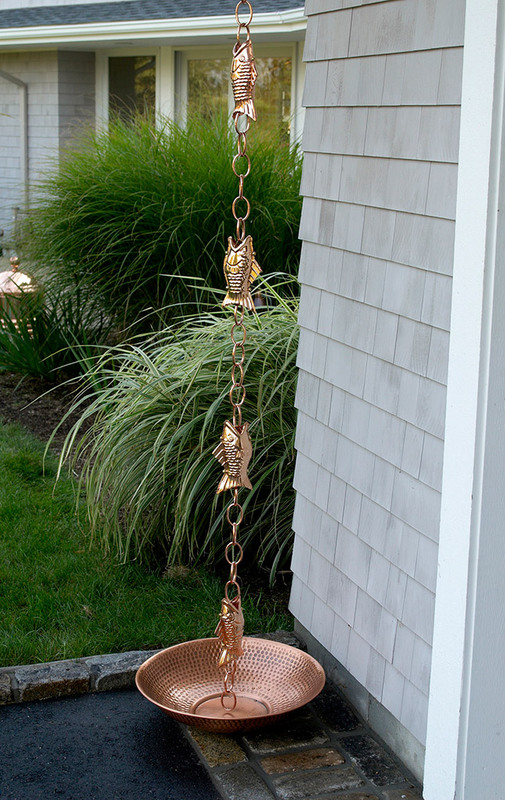 Rain chains, which are alternatives to traditional downspouts, help direct water away from residential and commercial structures. 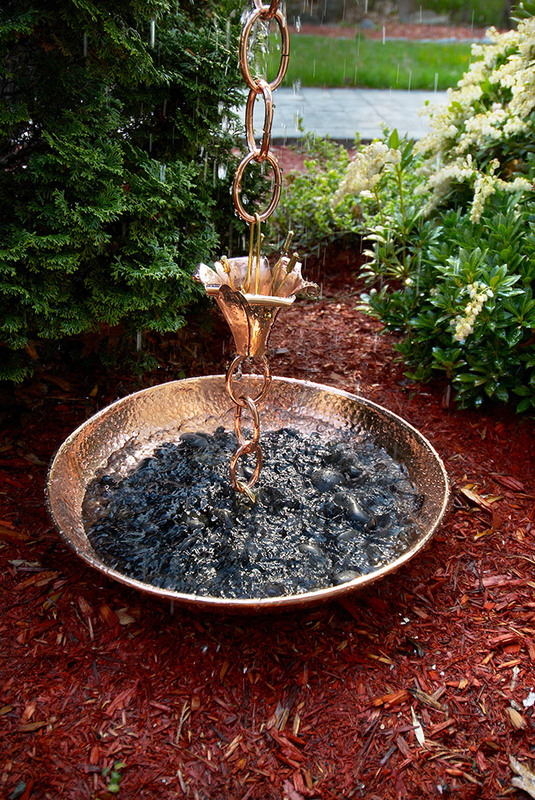 Originating in Japan, rain chains have been used for hundreds of years to direct water away from and to desired locations while providing an aesthetically pleasing view and soothing atmosphere, according to Usry. 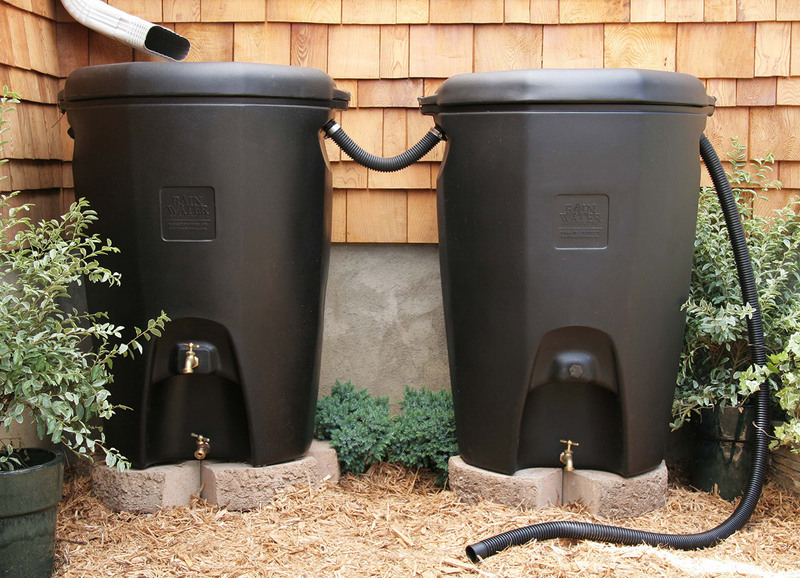 “Rain barrels, tanks, and cisterns serve as storage devices for collected water,” Usry said. “The barrels come in many shapes and sizes from the homemade recycled pickle barrel to urns with plants on top. Larger tanks and cisterns are available in a wide range of sizes and may be above or below ground. Aesthetically, there is a style and a system for every taste. End usage determines the type of system you would install – whether it is for potable or non-potable use,” Usry said. The cost of rainwater harvesting systems can vary tremendously, depending on the scale and complexity of the system, according to Usry. 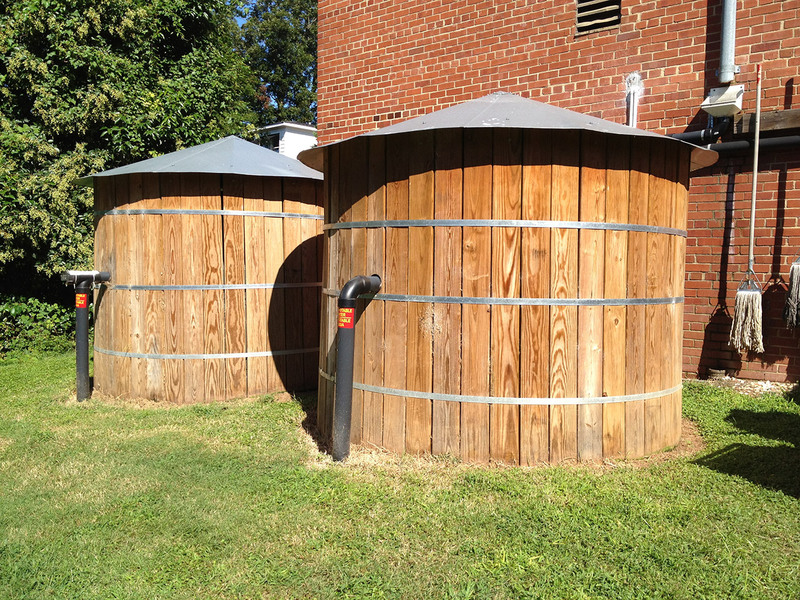 “Rain [barrels] are the least expensive entry into rainwater harvesting,” Usry said. “A complete home system could run between $3,000 and $13,000, with the storage tank being the highest cost.” The cost per gallon ranges from approximately $.05 for fiberglass tanks to $4 or more for welded steel tanks, according to Usry. Prior to installation, property owners should evaluate how much water the system may be able to collect to determine whether the investment is worthwhile. Annual rainfall (mm) x effective collection area (m2) x drainage coefficient (%) x filter efficiency (%) x 0.05. Last, “filter efficiency” refers to the filter’s ability to transport the collected rainwater into the designated storage device or location. If the filter efficiency value is not provided by the manufacturer, the Environment Agency suggests using 0.9, which reflects 90% efficiency of standard collection systems. Rain chains are fairly easy to install, but Usry warns about the possible dangers of tackling high installations without assistance. Depending on the complexity of the water harvesting system, Usry suggests contacting an excavator, plumber, roofer, or electrician, if applicable.